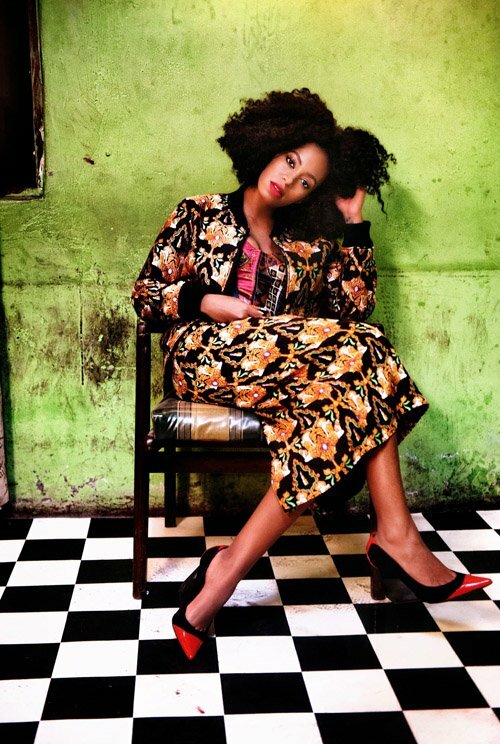 DJ and style icon Solange Knowles has always captured my interest ever since I went bonkers for gem I Decided. She has proven that despite being Beyonce’s little sister, she has voice and a vision that allows her to develop her multitude of talents without the danger of relentless nepotism. Knowles is in currently in Cape Town, South Africa shooting working on her new project, Losing You, her latest single, and the buzz has been heavily concentrated on how FAB she looks as she struts around the set decked out in local trimmings. Say what you will, Solange has the pulse on what intrinsically works in the fashion world, and her instinct carries over to other areas of her life, including her music. She is the right age, (26) at the right time and she completely understands her call to duty as a young, stylish creative mind who maximizes the resources at her disposal. Check out the images of Solange in her element shooting Losing You.